Devonian time was a period of great change across the Tree of Life. Reef ecosystems saw new and more varied forms, including the ammonoids and fish. It was also a time when life achieved the critical milestone of adapting to land. In the sea, ammonoids and fish evolved and quickly diversified. Primitive plants that gained a foothold in the Silurian went on to form forests. Arthropods and ultimately tetrapods were plodding the lands. The first insects, spiders, and tetrapods appeared. 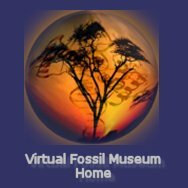 Located near Clarksville, Ohio is one of the most amazing Devonian fossil sites in the world. Within the Falls of the Ohio State Park, visitors can see the traces of life left in a gigantic coral reef that stretches from Louisville north to Indianapolis and represents deposition spanning some 45 million years. It has one of the highest species diversities known from a single locality in the Devonian (about 600 species of which 2/3rds are "type" specimens, or species discovered and recorded there for the first time anywhere in the world. It is one of the best-preserved and most accessible Devonian fossil beds (coral-stromatoporoid bioherm) in the world. An average of 500,000 visitors annually visit the park.